One of my favorite things about photography is the connection I feel with my subjects, and it's a truly special day when I get to work with dear friends. 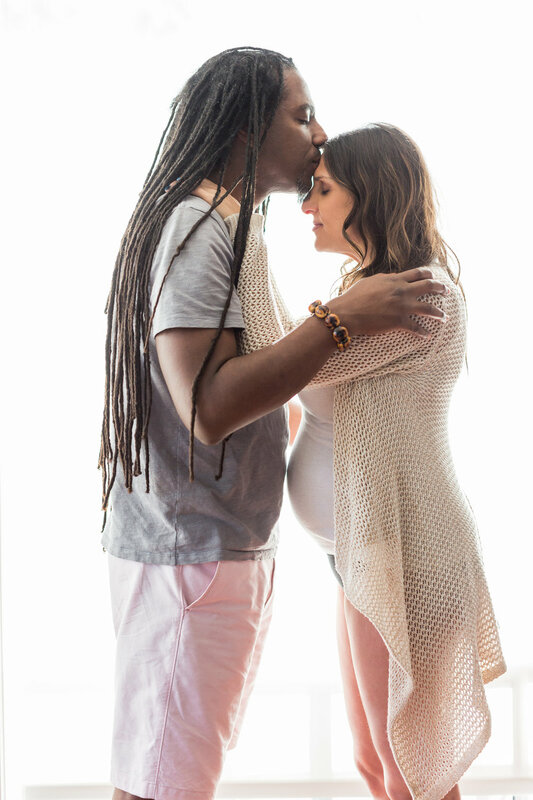 I'm so thrilled for Rachel + Rico and their little girl who will be arriving in the next few weeks. A stunning Rachel and I started our shoot in a soaking tub with a luxurious milk bath. I love how the the intimate setting focuses on her form. I adore these two and the tenderness they share. It was an honor to both capture their love and this unique moment in time. This baby is going to be one lucky wee one and I can't wait to meet her! We found a beautiful sun drenched path in the Hollywood Hills and there was a lovely little trail with a secret garden and wildflowers along the way. It was a sweet and leisurely stroll filled with laughs and kisses. I am so excited for these two as they enter their next life adventure together.